Ricardo was one of the first to master Japanese Straightening in 1998, a technique used to effectively straighten curly and wavy hair. With his years of experience, advanced training and natural talent, Ricardo will work with you to create the perfect look for your type of hair, facial structure and lifestyle. 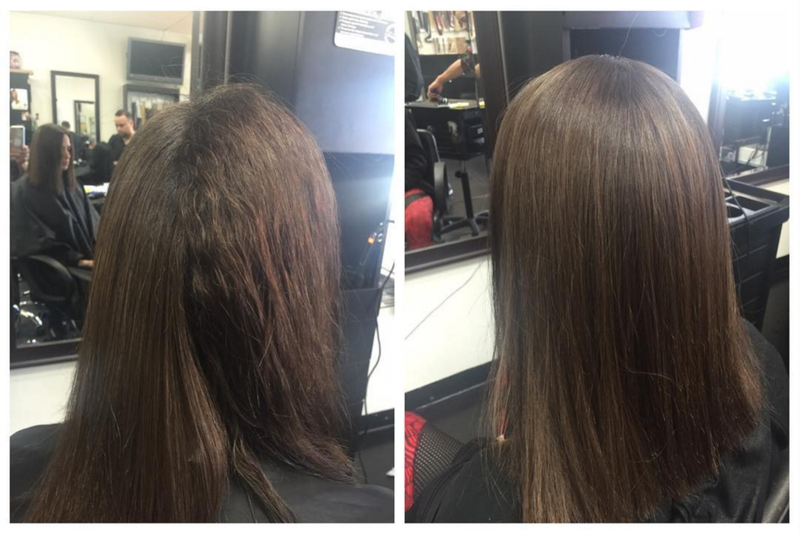 The Brazilian Keratin™ formula is virtually a "liquid form of hair" that gently blends with the hair on your head. The keratin penetrates the hair cortex improving and repairing the quality of your hair from the inside, resulting in a smooth, soft, shiny, frizz free effect. Along with adding strength, elasticity and moisture to your hair, this treatment provides protection against the environmental effects of UV rays, smog and smoke. Ricardo also specializes in the art of creating new dreadlocks, recommended maintenance and custom extensions.